A unique piece, our Inflatable Midway is self-contained carnival fun. 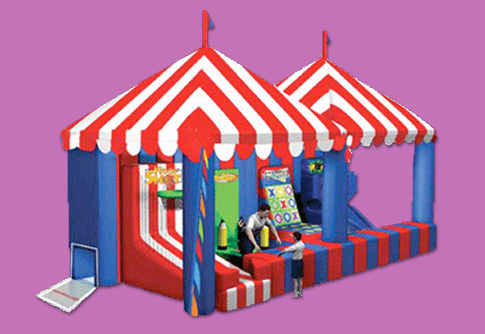 Four large and exciting carnival games are built into a single red & white inflated carnival booth, providing fun and challenge for all kids (and grown-ups, too)! Games + Prizes + Fun = The Inflatable Midway!